As more and more businesses are rooting towards consumer engagement, Gopa Kumar, VP, Isobar shares tips to read up on before getting started with bots for your business. 5 years back, most of the marketing strategies in digital and otherwise used to be solely focused on Social media. The Buzz word was to get more and more followers and likes for their brand pages. Facebook apps for engagement used to be the tactics used by most marketing personnel. Come to 2016-2017, these are now increasingly being shaped by messaging apps. According to various industry reports the number of active users on four largest messaging apps has surpassed users on four largest social networks long back. Brands now are increasingly looking at leveraging messaging apps and hence the natural progression of the same being bots (aka chat bots, virtual assistants/friends) These bots are conversational platforms which reside within these messaging platforms such as Facebook Messenger, WeChat, Hike messenger. Bots have been around for quite a while in places like China where consumers use them to gain information and to connect with brands. LiveWorld, for example, has been involved in chatbot tech for twenty years, beginning with a network called “Talk City” that amassed more than four million users when it was launched in 1996. There are standalone industry bots and customized bot which brands can make for themselves in order to engage with their customers. These bots allow customers to shop, browse, and communicate with brands in an engaging, conversational format. Increasingly we will find that these bots will be changing our approach on how we look at customer engagement, whether it’s for pushing out deals, advice, costs etc. Read Also: What the Bot! Consumers crave human touch in this day and age when everything is getting digital and automated. This means the first things brands should keep in mind is that consumers aren’t going to respond well to impersonal, automated responses. Some of the ways bots can be used by brands are by..
By giving the consumer a face to the bot and personalizing it goes a long way in making customer engaged and spend time with these bots. Personalizing the experience lets the user talk to the bot like a friend. Personalized bots can assist consumers in figuring out the things they would want to buy easily, help them make informed choices, like a retail brand, can have bots which can allow users to specify their gender, type of clothes, the color so that bot can then suggest what they are looking for easily. Case in point What Maruti Suzuki Dzire did for their launch, they had a bot which gave out information about features about the car, prices, specifications and address to the newest dealership. This was also smartly delivered in the advertising medium they choose to be in like Video platforms where consumers are consuming content. Increasingly brands have been using bots as a face of the brands, this does give the brand a human touch and makes consumers really comfortable in interacting and giving their information. British Airways launched a bot some time back called BOTier, and it shared everything related to deals, flight details, and attractions what people can find in London. Making a persona out of chat bot enables the brand to make it more human and when done right can help business, facilitate brand commerce and also teenage with the audience again and again. Increasingly we are seeing in B2C marketing, lines between online and offline store are blurring and it’s crucial for marketers to have more personal and conversational experiences throughout their consumer journey. Be available in all touch points from desktop to Mobile. And be ready to build person to person engagement. With regards to a B2B funnel which is more complex and final stages of sales pipeline is always the crucial element, chat bots can provide a solid outlet to engage and provide information and communicate to end customer. Chatbots will in future become a qualifying entry point for any brand interaction enabling more relevant interaction. Now and in future, we are seeing this trend of consumers shifting from comments to conversations. Brands also increasingly moving from posts to conversations. If you don’t have a conversation strategy that is scaled and personalized, your days are numbered and some other brand will beat you into it soon. 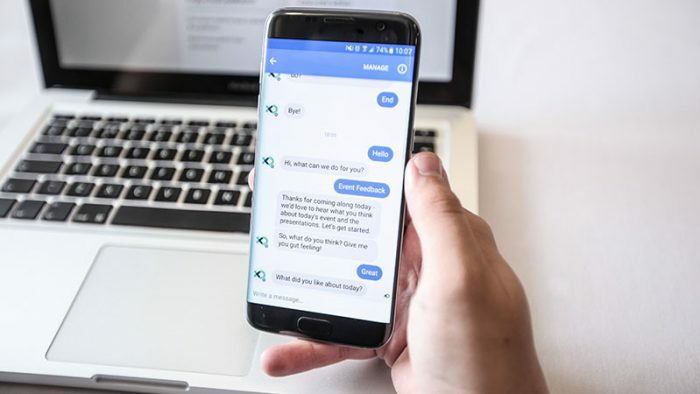 While basic chatbot technology has not changed over the years, its use and how its output is changing with AI and Personalization opportunities, any brand which takes the lead will be far ahead of its competition and become a game changer. Last but not the least, it’s critical for marketers who use chat bots to determine how this can be more human and have a sense of purpose built into it, anything which is impersonal, irrelevant and time consuming will be rejected by the consumer and also give a very negative brand experience. Best bet for any brand would be to develop a consumer centric approach and creating a conversational brand. Brands which will not have a two-way dialogue will necessary be history in this day and age of chatbots and Artificial Intelligence. 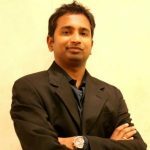 He is the Vice President at Isobar India. Additionally Heading Strategy, Media, Data & Analytics verticals. Has over 15 Years of experience in the Advertising and Marketing Communication Industry. Primarily have been Managing & consulting clients locally & regionally on their Digital Transformation Process, Digital Marketing strategies, Brand building & ROI driven marketing outcomes. Have been part of Isobar journey for 8 years.